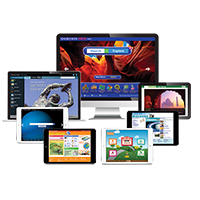 Introduce young homeschool learners to 120 of God’s most beautiful and amazing creatures! 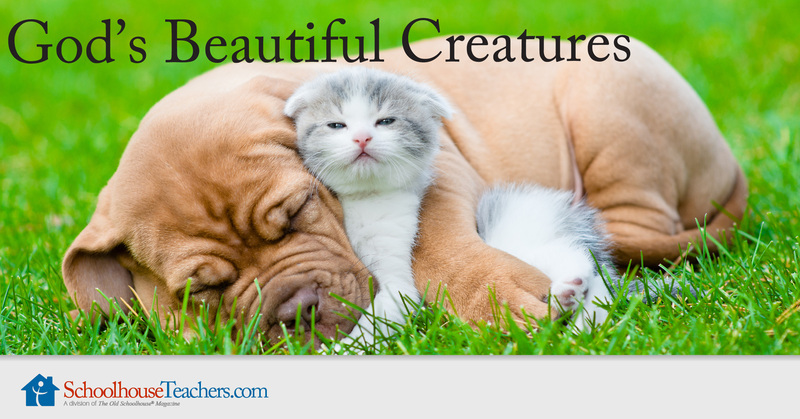 This God’s Beautiful Creatures homeschool science course is a collection of the Hello, Beautiful! eBooks. Each book pairs beautiful colorful photographs with simple text that teaches about each animal. A photo index at the back of each book includes information about where the animal lives, what it eats, etc. Additional enrichment activities and links to maps of the countries where the animal lives are also provided. Ten God’s Beautiful Creatures homeschool science course units use World Book Online eBook resources and a variety of enrichment activities to teach young learners about 120 of God’s most beautiful and amazing creatures. Each book in this God’s Beautiful Creatures homeschool science course uses large, colorful photographs and a few words to describe the world to young children who are not yet reading on their own or are beginning to learn to read. For the benefit of both adults and children, a picture key is included in the back of each volume that describes each photograph and specific type of animal in more detail. This homeschool science course can help pre-readers and starting readers get into the habit of having fun with books and learning from them, too. With pre-readers, a fluent reader (parent, older sibling, etc.) can point to the words on each page while speaking them aloud to help the listening child. The older reader may also pause at words the younger reader knows and encourage the younger reader to read or sound out each word. Would you like to tell others about this God’s Beautiful Creatures homeschool science course?